i like your sunnies, and yea for me it's the same, nothing has changed, a week has gone by way too quickly. Yup, almost a week of the New Year has passed and I am just bogged down with work. I didn't even "feel" or get to enjoy the New Year celebration. I spent my new year at home with kiddos :p Anyway Happy New Year to You guys! Thanks so much.. Its best to spend these kind of holidays with you loved ones rather than with randoms. Happy new year!!!!! I just stay at home during New Year Eve! But I went out the next day with my Love! Thats nice you enjoyed the new years day itself.. Happy new year, have a great year ahead of you. Work Hard..
happy new year to you! here's all the best wishes for an awesome year that's 2016! Happy New Year to you too. I wish everyone success this year and every year. Happy New Year to you. I wish us all a better 2016. 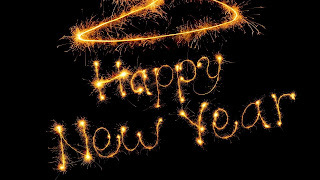 Happy New Year 2016 to you. May 2016 bring a good day to you. Happy New Year to you both!!! I love the short but sweet video you both made. It sounds and looks like you had a wonderful time through the day.